Do you know anyone who needs to be with compassionate and helpful people? Are you in need of a good network of support system? A Home Health Care agency can deliver such services for individuals who are in need of medical attention, personal care services, and companion services, most especially for seniors. There are plenty of reasons why home health care can be the best option for the elderly. Aside from the fact that we provide personalized services for every client, most agencies ensure that the care delivered is of high-quality. Agencies such as Ontime Home Health Care Staffing Agency LLC, provider of Personal Care Services in Cleveland, Ohio consist of professional and trained caregivers who are knowledgeable in their roles and responsibilities as carers for vulnerable individuals. 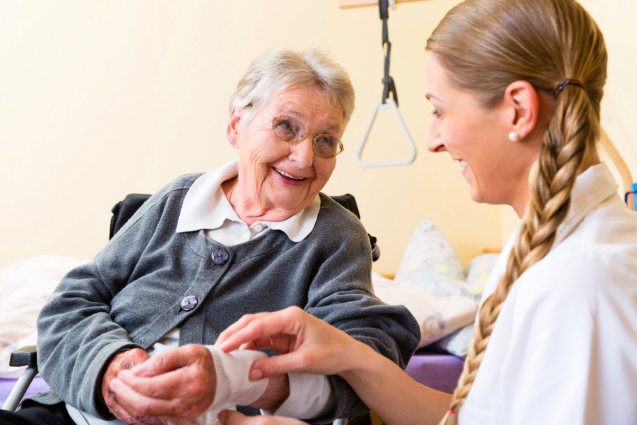 Patients and seniors who do not require intensive medical care can opt to receive medical treatments and care in the comfort of their own homes from certified nursing aides, registered nurses, and therapists. These professional carers can provide health checks such as wound dressings, administering medications, health assessments, and acquiring a specimen for laboratory tests. We also provide personal care services such as assistance with household tasks, feeding, bathing, and clothing. To ensure that the clients maintain their independence, we also conduct health education for the patients and their family members. The carers’ roles are more than just medical staff members who are obliged to do their jobs. We are compassionate individuals who create rapport and connection with the patients to improve their well-being. We can also be advocates who can offer advice regarding the care plan and the financial matters involved. Acquiring Home Health Care can have numerous benefits. First of all, it costs less than hospitalization or being in a hospice. The nurses can also monitor and render care exclusively to one patient, unlike being in a hospital where they are required to do other tasks and divide their time for other patients. Being in a home setting also allows faster and more holistic healing as it is a familiar and comfortable environment for the client. Their family members and friends can also take part in the care plan, allowing more familiar people to participate in the healthcare plan. Most importantly, being in a home-setting allows more privacy and more control over the daily tasks and progress of healing. This type of care service is also advantageous to families as they are not restricted to certain times to be with their loved ones. It saves them time, energy, and money from going to hospitals for only a few hours of visits. Even though most of them may not be trained in providing medical care, they are free to ask assistance from the in-home professionals. Most of all, they are not restricted from continuing their own work and daily activities, allowing them to go on with their lives without the worry of leaving their loved ones unattended. Perhaps the most significant benefit of this type of care service is the fact that families get to spend their time together in one of the most critical times of their lives. This entry was posted in Home Health Care and tagged Health Care, Home Healthcare Professionals, Staffing Agency. Bookmark the permalink.